The cannon shot that marks noon has just boomed in Zagreb's upper town. Tourists are still taking some pictures of the white smoke coming out from the Lotrščak tower, while a small crowd slowly moves towards the Croatian Parliament . It is an unusual scene in Gradec. In the old part of the Croatian capital protests are rare, despite the economic crisis. Among these streets, where street-lights are still powered by gas, fifty people parade without making too much noise. They are mostly elderly, accompanied by a boy who plays the accordion, and led by an ecologist. They want to "save the Gorski Kotar" and threaten to block the highway from Zagreb and Rijeka. The "hill country" (literally, "Gorski Kotar") is located between Zagreb and Rijeka and currently counts just over 20,000 inhabitants. Early in February, an unusual wave of frost has hit this part of the country, causing massive damage. "Half of the power stations were destroyed", says Josip Lončarić, a native of the region, "for two or three weeks there was no electricity, no water". In addition, the forests of the region were severely damaged: "A million and 800,000 cubic meters of timber were lost", says Josip Lončarić. 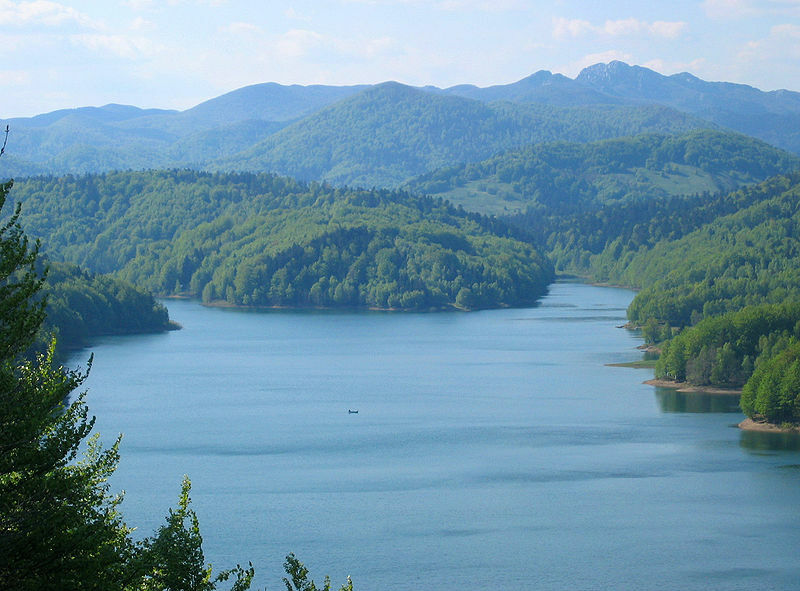 "It's more than three times what Gorski Kotar produces in a year". A disaster for a community that only survives on its timber, exported to Italy too. In the aftermath of the frost, President of the region Zlatko Komadina declared the state of natural disaster and asked for help from the government. The government, in turn, as announced on February 12th, would appeal to the EU Solidarity Fund to restore the situation in the region. "It will take 300 million Euro to repair all the damage", says Croatian MEP Nikola Vuljanić (GUE). "Everything must be done as soon as possible. This summer we need to clean and replant, because in the long run the economic consequences could be even more serious". Vuljanić submitted a written application to the European Commission asking for a quick help for Gorski Kotar. "The Parliament is also working on an amendment to the rules of the Solidarity Fund, to ensure that its operations are faster, but I do not think there will be news until after the European elections", said Vuljanić. For the inhabitants of Gorski Kotar , however, European aid would only be a medium-term solution. "The problems of this region go way back", said Aljoša Babić, President of the Zelena Stranka environmentalist party and leader of the protest on March 28th. "The government just talks about the natural disaster – a serious one, sure – but does not mention the true drama of Gorski Kotar: depopulation". In thirty years, the region has lost 10,000 inhabitants, collapsing from 31,000 in 1981 to about 20,000 today, while the mortality rate remains higher than the birth rate and the migration balance is negative. "I led the protest in Zagreb because I am convinced that the law on regional development needs to be changed", says Babić, who sits on the regional council in Rijeka. "The government must take into consideration the problems of the mountain areas of Croatia". Mountain areas have never been a priority for Croatia, say the inhabitants of Gorski Kotar. Zagreb invests more on the coast and tourism, letting mountains depopulate. "The law that regulates the status of mountainous and hill areas will no longer be in force from next year" says Aljoša Babić. "In its place, the Croatian Parliament has introduced a 'Regional Development Act' which does not provide any form of autonomy for mountainous areas, such as Gorski Kotar". Needless to say, the demands of the local population go in the opposite direction. "Only two reforms could ensure a future for the people of Gorski Kotar", says Josip Lončarić, who spends at least six months a year in the mountains north of the river. "First of all, the forests should be owned by the people of Gorski Kotar: today, more than half of the forests belong to the state. Secondly, local authorities should join together to manage these assets, maybe use them as collateral to obtain funding from the banks", imagines Lončarić. As of now, the Croatian government seems to only plan on the assistance from the EU Solidarity Fund. According to Zagreb's expectations, the Union should provide about half of the 300 million needed to cover damage in Gorski Kotar. If the request is to be accepted by Brussels, it will be the first time the Fund – created in 2002 – intervenes in Croatia.